Many decades ago, people were concerned about how to meet their responsibilities in helping unfortunate children. Dedicated Christians in Abilene, Texas, expressed an interest in a home for these children. It was pioneers like B.A. Hays, J.E. Epperson, Hilly Walker, and others who made the dream come true. In the mid-fifties, it became apparent that there were few provisions for assistance to the Mexican-American child. Cherokee Home was a result of their concern. The tradition has continued over thirty years and has grown to include all races. In May of 1956, the Cherokee Church of Christ accepted the responsibility to begin the children's home. The ribbon-cutting on the first cottage was held on September 23, 1958. The second cottage was added in September of 1960. In 1965, a third cottage and administration building were built. The dedication for the J.E. Epperson Multipurpose Building was conducted in 1970. In May of 1970, the Superintendent's dwelling was opened. January 8, 1972, there was an Open House held for a fourth cottage. A 25' by 50' swimming pool was donated in October, 1972. In November, 1973, the new administration building was completed. An addition to the Assistant Superintendent's dwelling in July 1981 converted it into a small cottage. The addition to the administrator's home was completed in 1988. This move provided six cottages on campus, allowing Cherokee Home to be licensed for sixty children. The years of 1990 and 1991 were great for development of campus facilities. Many supporters saw the construction of buildings such as the W.P. Brummett Memorial Library and the Griffith/Granbury Relief Duplex, as well as the remodeling of the playground. 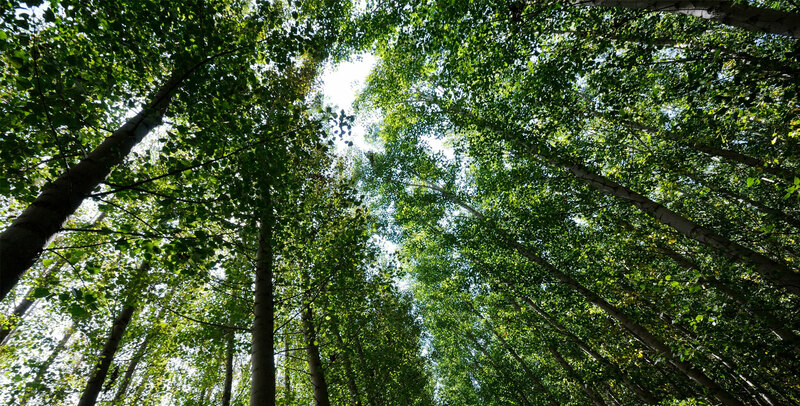 In 1992-93 renovation of the campus wastewater system was finished. Plans for the remodeling of the campground were introduced in 1991 and have progressed over the years. Major renovation on the campus swimming pool was accomplished in 1992, making the pool area exciting and inviting. The years 1994, 1995, and 1996 saw the construction and completion of the Kenny Alexander Memorial Flag Pole, the Food Pantry with an underground storm shelter, and the Henry A. Daughtry, Sr. Family Center & Pavilion. The Pavilion was used for the very first time on Cherokee Day 1996. 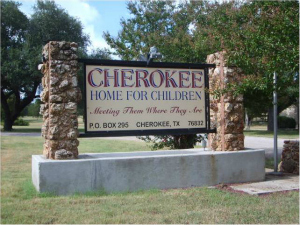 In March, 2014, Cherokee Home for Children broke ground for a new boys' cottage as Phase One of the Stability First Campaign. In March 2015, the boys residing at the Home moved in to the cottage. The campaign was called Stability First because the building was designed to eliminate the need for the boys to move from one cottage to another during their houseparent's relief time. May, 2015, Cherokee Executive Director, Delton McGuire, announced at the annual Cherokee Day Open House and Food Drive the Home's intention to build a second "Stability First" cottage. This new cottage would house the girls on campus and give them additional stability enjoyed by the boys in their cottage. Construction of the new cottage will hopefully begin in 2017. Under the direction of the elders of Cherokee Church of Christ, the Home was served by four part-time superintendents. Hilly D. Walker served as the first full-time superintendent, followed by Lloyd Beasley, John Gunvordahl, and Jack Goble. Carol L. Lee was hired in 1988 as Executive Director. Danny Duggan was hired to return to Cherokee Home as the Executive Director in February of 1998. He served the Cherokee Home as the Director for Development from 1982 to 1992. After the untimely death of Danny while playing basketball with the Aggies for Christ and the children from the home, Delton McGuire was hired in 2011 to serve as the Executive Director. In February of 2016, Shawn Hull became Executive Director of Cherokee Home for Children and started a new era for Cherokee Home for Children. The success of a child cannot be measured by the number of buildings erected. It is measured by what the child achieves through his/her development at Cherokee Home. Many opportunities are given to the children to help them excel and advance toward their own success. People who love people are the heart of our success. Our prayer is that more folks like you will become partners and co-workers with us in providing care for the children.